The Royal Horticultural Society’s world-famous Chelsea Flower Show is back from 22nd-26th May 2018. This year is set to be as inspirational as ever and in this week’s blog we’re taking a look at what’s new for this year’s show. The garden’s themes for 2018 focus on the impact that horticulture has on our health and wellbeing. With the introduction of the RHS Health and Wellbeing Gardens, designers will bring visitors together in a series of thought provoking spaces. 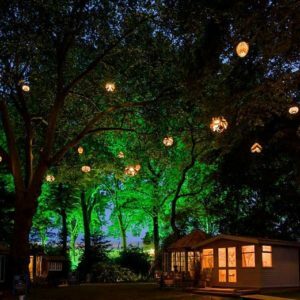 Whether you’re seeking a small corner of tranquility or want to learn more about the positive impact gardens have on the environment, this attraction is well worth a visit! Maybe you’re searching for inspiration for your own garden? New for 2018, the Space to Grow Gardens are dedicated to smaller urban spaces, displaying to visitors how they can turn even the smallest of gardens into a beautiful and serene escape. Another fantastic addition to this year’s show is The Chelsea Late Event. This night time affair allows visitors the chance to experience the beautiful flower show by twilight. Featuring live music and artisan food, this particular attraction promises to bring with it a young, vibrant atmosphere. 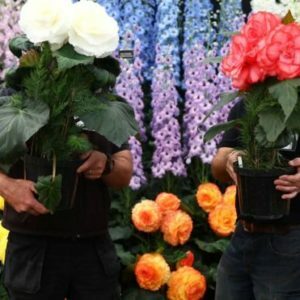 If you’re as excited as we are and want to be there, why not take a look at the RHS website for more information on how you can experience the Royal Horticultural Society’s Chelsea Flower Show.